Do You Know if You Need a Home Termite Report? When buying or selling a house in Chandler or any of the surrounding cities, the phrase “termite report” or “pest inspection” almost always comes up. Due to the high rate of termite infestation in Arizona, a purchase contract should say something about acquiring a termite report, also called a WDIIR (Wood Destroying Insect Inspection Report). As a buyer, you will 100% want a termite inspection and report done before buying a house and here we explain why. What Are The Benefits of a Termite Report? The biggest advantage of having your possible future home inspected for termites or other wood-destroying insects is knowledge. With the purchase and investment of a house it is better to make a well-informed decision than just assume the seller will disclose any termite issues. The termite report will give you an unbiased answer that either, yes there are termites, no there are not or there are possible conditions for current or future termite issues. As a buyer, this gives you the option to request certain things before you buy the home. If there are signs of termite infestation or possible conditions that will allow termites to invade, work with your realtor to settle on a decision of what should be done. Whether the seller will pay for treatment, fix the termite prone area, like a leaking pipe, or lessen the sale price there are many options to resolve this issue that are agreeable to both parties. Who is Responsible for Obtaining the Termite Report? There is no law in Arizona that requires a termite report to complete the sale of a house but as we mentioned before, Chandler and most of the Valley are prime spots for termite infestation due to our mild winters. We always suggest having a professional inspect for termites or other pests so that you don’t have any surprises when you move in. Some people may think that they can conduct their own ‘termite inspection’ by looking over the outside, foundation and inside of the house and call it good when they don’t see any signs of termites. Remember, termite professionals are trained to search for things that we aren’t aware of so let them use their expertise and put your mind at ease that a thorough inspection was done. In some cases, the lending institution will specify the need for an official termite report. In this case it is customary that the seller pay for the termite inspection but if there is no requirement, the buyer can ask the seller to cover all of it or split the cost. Again, working with a realtor to negotiate this point will help! Do You Understand the Termite Report Results? Hopefully the result of your termite report shows that no termite activity was visible but you must understand, this does not guarantee that termites are not there or that termites won’t invade in the future. Termite inspectors may not be able to access the far corner of the attic and they can’t predict the future but they try to be as comprehensive as possible and report anything that is there at the time of inspection The second page of the report gives the details as to what the inspector could visibly inspect or if there were areas that were blocked. It will list if there are current signs of termites in any parts of the home that could be inspected as well as if any previous treatment has been done for termites. 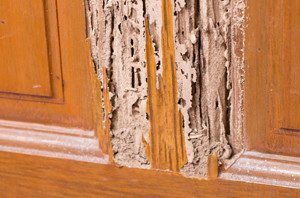 The termite report also lists any potential problem areas that are likely to be infested by termites if left untreated or not repaired. This is the important part of the termite report you will want to address and ask your realtor to negotiate the best type of termite treatment for your situation. The termite report can save a lot of time and money in the long run so don’t hesitate to call us if you need a termite inspection or have questions about your termite report! We are always here to help you have a pest free home!